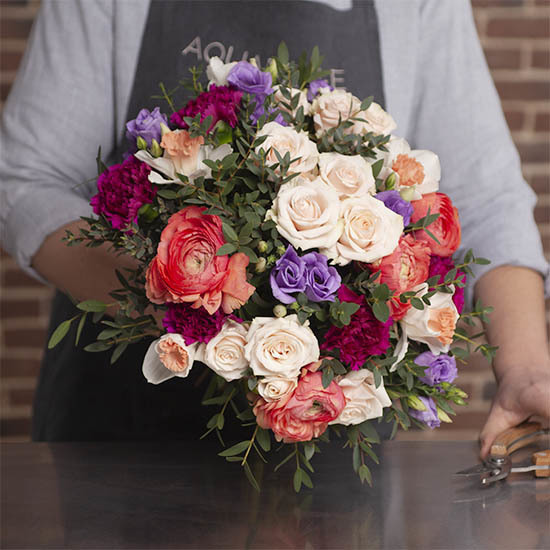 Composed of the prettiest seasonal flowers, this stylish bouquet makes an irresistible gift. 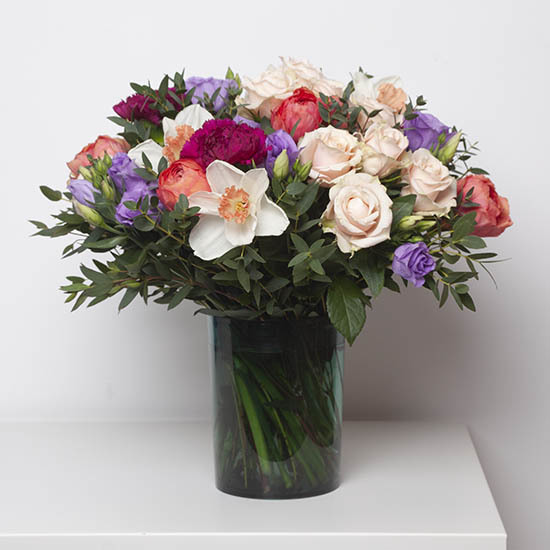 This fragrant composition combines generous white narcissi with delicate pink centres, pretty apricot ranunculus, gorgeous 'Super Bubble' stem roses, deep plum 'Farieta' dianthus, magnificent lavender lisianthus and a handful of seasonal foliage. 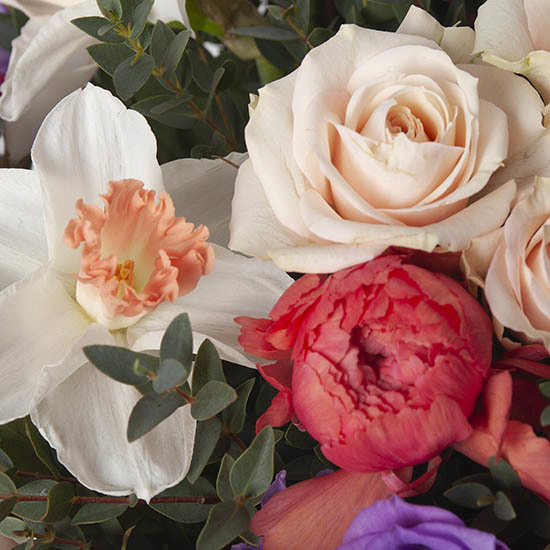 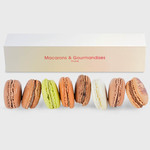 A gorgeous array of the season's favourite colours with a hint of the scent of spring!